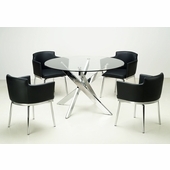 This contemporary set will add to your home setting. 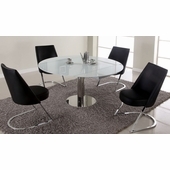 The prisents a round clear tempered glass top and an acrylic and chrome base. 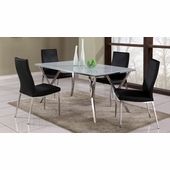 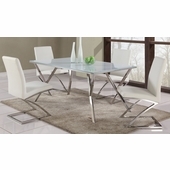 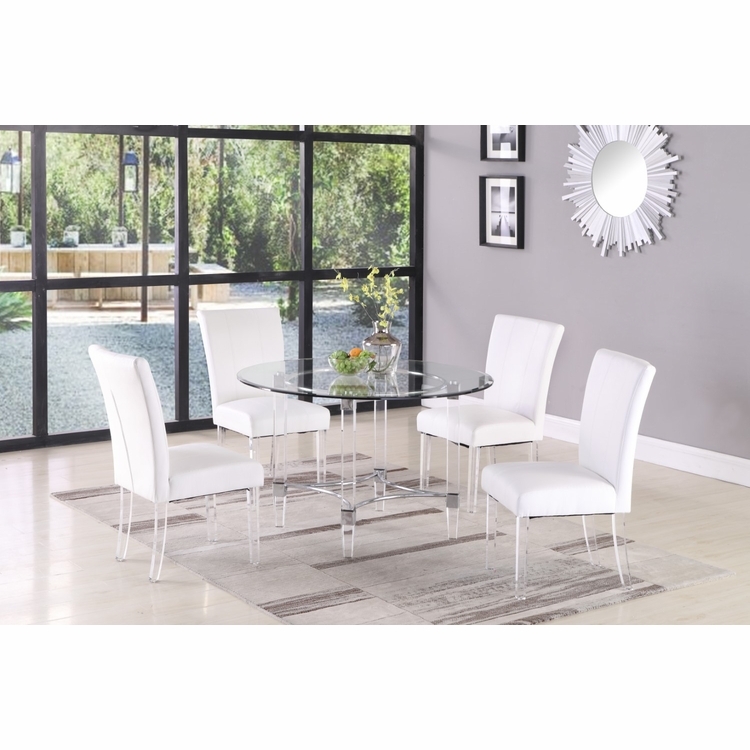 The chair matches with acrylic legs and also features gray faux leather upholstery.